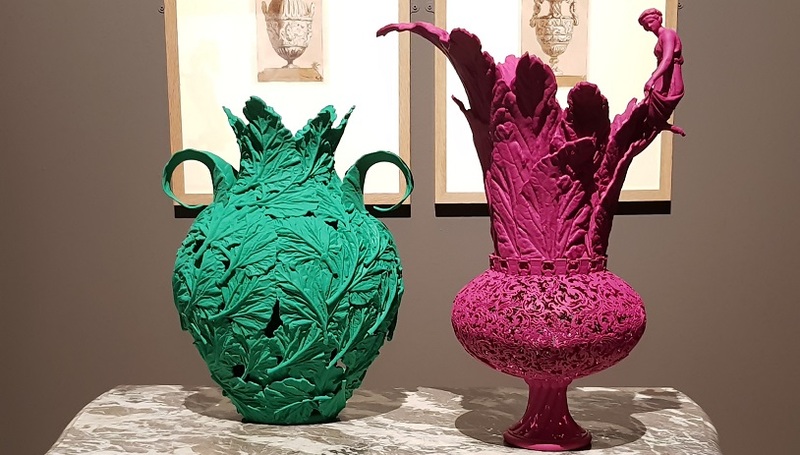 Digital technology delivered creative freedom for this fine art exhibition presented at Waddesdon Manor. 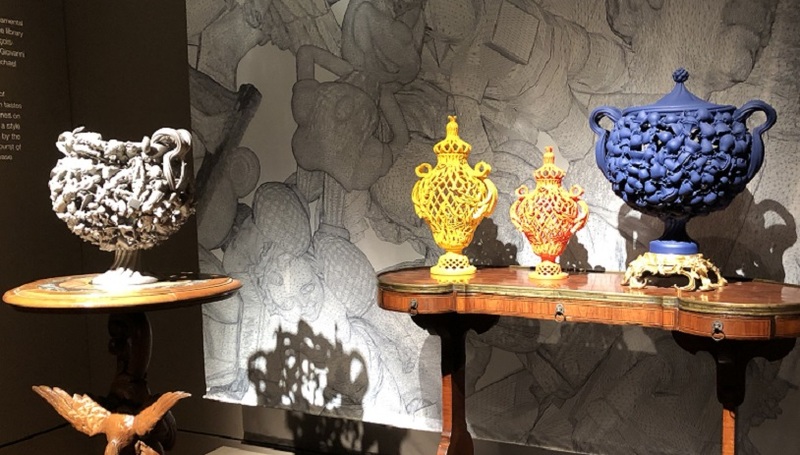 We 3D printed and finished eighteen individual works, the striking colours and intricate, complex details adding a new twist to the ornamentation inherent in the house and its collections. 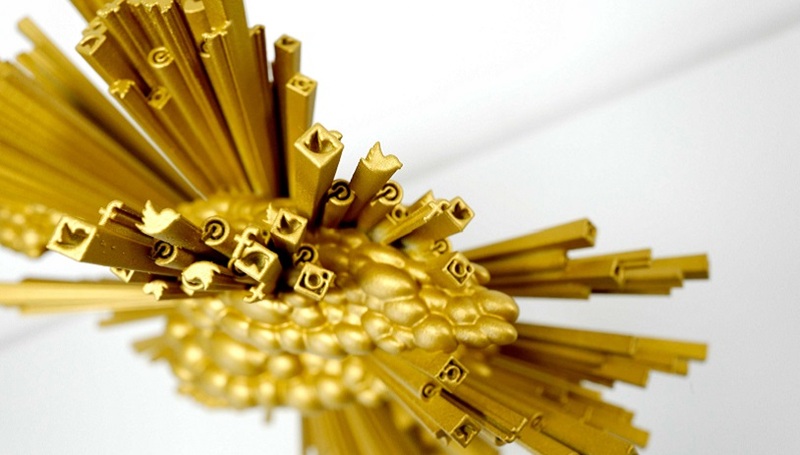 Michael Eden’s work encompasses craft, design and art. 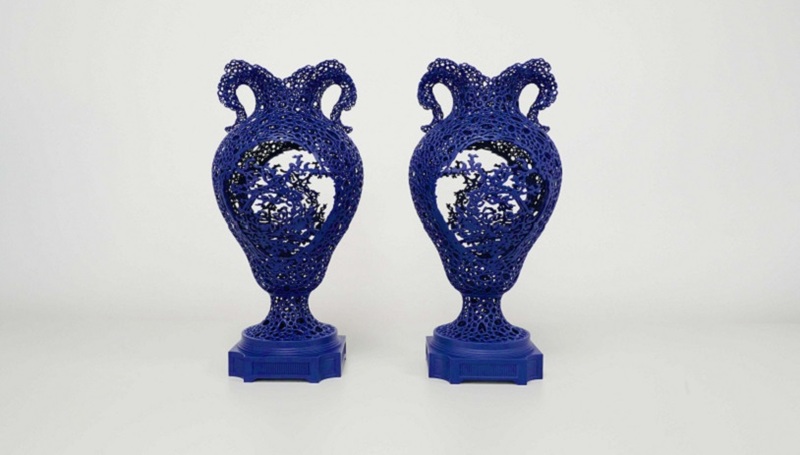 Contemporary themes are explored through the redesign of historical and culturally familiar objects, which are then produced using 21st century digital manufacturing methods and materials. 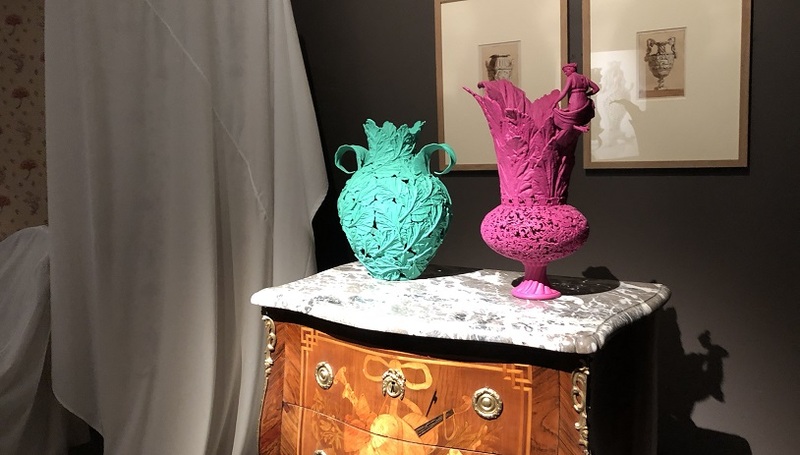 Already a well-respected and established potter, 3D printing has given Michael the freedom to create works that would be impossible with clay. We collaborated closely with the artist throughout the process, working with his 3D files and also scanning some modified artefacts ourselves. The works were printed on our HP MJF printer, which delivered superb detail and strength. Our finishing department applied a range of surface finishes including a soft-touch mineral coating in eighteen different colours, touches of gold leaf and a hand applied marble-effect paint finish. The exhibition was presented in association with Adrian Sassoon.